You must be a member of the Mexico City All for One & One for All Group to attend this activity. Would you like to join this group? Have you heard of Numerology? Do you always see the same number throughout your life? Have you found yourself drawn to particular numbers? 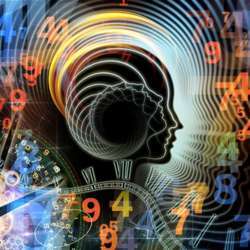 Perhaps you want to learn more about numerology? Maybe you have absolutely no idea what numerology is? We're going to learn what numerology is, the history behind it, how it works and how we can calculate our numerology number, as well as some interesting facts about the topic. In simple terms, numerology is a study of numbers in our life. We can uncover information about the world and also each individual person by using Numerology. Numerology is seen as a universal language of numbers. Numerology is the idea that the universe is a system; once broken down we are left with the basic elements, which is numbers. By understanding that everything in the world is dependent on, and can equate to numbers, a numerologist can take multiple elements of a person and break them down into meaningful numbers through various methods. These numbers can then be used to help us to better understand the world and ourselves as individuals where you can discover insights about your purpose and personality traits by working out things like your life path number, expression number and hearts desire number among many others. The fee is only $ 100.00 MXN.